Cigars of the Pharaoh (1934). 1930: Tintin in the Land of the Soviets. 1931: Tintin in the Congo. Tintin travels to the New World and faces Al Capone. Snowy saves Tintin almost as often as Tintin saves Snowy while they clean up the gangsters of Chicago and try to help the Blackfoot Nation. Hergé's drawings based on his photo archive include: aeroplanes, an ambulance, cactus, cars, a dungeon, horses, lorries, motorbikes, a motor boat, an ocean liner, a skyscraper (on whose wall Tintin walks, from one window to another), a suit of armor, a tiger, trains, and a wagon. 1934: Cigars of the Pharaoh. Tintin travels to Egypt and meets the eccentric Professor Sophocles Sarcophagus and then the hilarious detective twins, Thompson and Thomson, who both hinder and save Tintin. The story concerns Tintin's foiling of drug runners. The setting morphs from Egypt to India, apparently with nonchalant ease. Hergé's drawings based on his photo archive include: aeroplanes, ambulances, ancient Egyptian tomb, armaments (machine guns, rifles, automatic weapons, handguns), boats, cars, donkeys, elephants, ocean liner, palace, trains. The story is set in 1931. At that time Japanese troops were occupying parts of the Chinese mainland, and Shanghai, the great seaport at the mouth of the Yangtze Kiang, possessed an International Settlement, a trading base in China for Western nations, administered by the British and the Americans. Hergé based his narrative freely upon the events of the time, including the blowing-up of the South Manchurian railway, which led to further incursions by Japan into China and ultimately to Japan's resignation from the League of Nations in 1933. The story begins in India, continuing from the end of (Cigars of the Pharaoh) and then moves to China. Tintin mostly escapes from capture, imprisonment, swords, and guns through his own creativity, but towards the end is helped by the Chinese boy Chang Chong-chen, his new best friend, whom Tintin saves from drowning in a yellow river. Thomson and Thompson arrive in bold disguise to arrest Tintin and to demonstrate their increased self-inflicted damage by tripping over their own feet. Hergé's drawings based on his photo archive include: aeroplanes, ambulance, bicycle, boats, cars, horse, jinricksha, lorries, motorbikes, ocean liners, palace, tanks, trains. 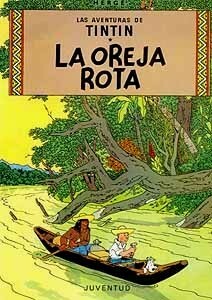 Tintin tracks a stolen museum statuette to the Republic of San Theodoros, South America. Drawings include aeroplanes, cars, trains, armaments, a tractor, ocean liners, motor launch, and working boats. Considered Hergé's first masterpiece. A delight. Tintin (aided and hindered by Thomson and Thompson) tracks a crashed unregistered plane to southern England, escapes from being thrown off the White Cliffs of Dover, and though a series of skin-of-teeth escapes, reaches Scotland's Black Isle and uncovers the International Gang. Drawings include: aeroplanes, cars, trains, armaments, a fire-engine, a castle, and pubs. 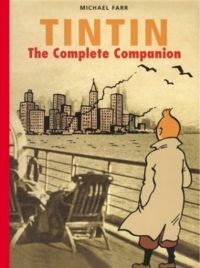 Tintin: The Complete Companion comments that Hergé's original drawings lacked characteristics of the English and Scottish scenery, buildings, vehicles, and uniforms; and reports that before the production of the English-language books, Hergé sent an artist to Britain in order to bring back realistic images for copying into the cartoon backgrounds. Tintin (aided and hindered by Thomson and Thompson) tracks mysterious mustachioed men to the central-European country of Syldavia and averts trouble. Drawings include: aeroplanes, cars, motorbikes, a castle, a royal coach, the dinosaur Diplodocus Giganticus, and a birch forest. 1941: The Crab with the Golden Claws. Tintin (hindered by the ill-disguised and accident-magnetic Thomson and Thompson with their "to be precise" repetitions of what the other one says) tracks drug-runners and meets the alcoholic Captain Haddock, soon to become a bosom companion and vibrant curser. The chase ends somewhere in North African and Tintin averts trouble. Drawings include: aeroplanes, boats, camels, cars, a lifeboat, a military outpost in the desert, ships, and a dramatic storm at sea. Tintin (hindered by the ill-disguised and accident-magnetic Thomson and Thompson with their "to be precise" repetitions of what the other one says) tracks drug-runners and the alcoholic, blustery Captain Haddock track down a meteorite freshly fallen into Arctic waters. The chase ends somewhere in North African and Tintin averts trouble. The physicality of Hergé's drawings are a particular delight. Drawings include: aeroplanes, ships, a telescope, and two dramatic storms at sea. 1943: The Secret of the Unicorn. Tintin (hindered by the pick-pocket-prone Thomson and Thompson) and the alcoholic, blustery Captain Haddock track down the meteorite that has freshly fallen into Arctic waters. After many near-death accidents, Tintin salvages a small piece of the meteorite before it sinks below the Arctic Ocean. Drawings include: aeroplanes, the baronial Marlingspike Hall (which will become Haddock's ancestral home), cars, a van, a two-masted pirate ship, and the Unicorn, a marvelous three-masted sailing ship. Tintin goes to sea, particularly the deep sea, with the blustery Captain Haddock and the accident-prone-but-useful-for-manual-labor Thomson and Thompson, to search for the the wrecked galleon Unicorn. 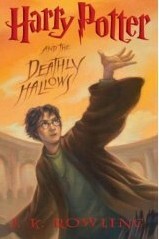 The book has the first appearance of the inventive and deaf Professor Cuthbert Calculus. Drawings include: the baronial Marlingspike Hall (which now becomes Haddock's ancestral home), boats and ships, a deep-sea diving suit, the wrecked galleon Unicorn, the inside of an inventor's laboratory, and sharks. 1948: The Seven Crystal Balls. For once, Tintin stays at home, but investigates the attacks on a team of explorers just returned from Bolivia and Peru. For a short while, Captain Haddock wears the clothes of the newly gentrified, but comes to life when he gets back into this fighting-seaman clothes. The accident-prone Thomson and Thompson and the dowsing Professor Cuthbert Calculus entertain. Then Professor Calculus is kidnapped and taken to South America. Tintin and Captain Haddock set off in pursuit, the adventure to be continued in Prisoners of the Sun. Drawings include: armor suit, bicycles, boat, cars, horses, a hospital ward, the baronial Marlingspike Hall (Haddock's ancestral home), motorbikes, sea plane, ship, theatre back-stage, and train. 1949: Prisoners of the Sun. Continuing the adventure begun in The Seven Crystal Balls, Tintin and Captain Haddock travel to Peru, to rescue the inventive and deaf Professor Cuthbert Calculus. Thomson and Thompson pursue them to 'help' and search everywhere except where Tintin is. Drawings include: a bear, boats, bridges (including a single-cable rope), llamas, ship, jungle and jungle creatures (snake, monkeys, anteaters, alligators), pyramids, snow and avalanche, temple interior, train, and waterfall. 1950: Land of Black Gold. Tintin and Captain Haddock travel to Khemed, to determine the cause of exploding gasoline. Thomson and Thompson cause almost as much confusion as the nasty spoilt child, Abdulla. Drawings include: an aeroplane, boats, a break-down truck, cars, horses, and a jeep. Tintin and Captain Haddock travel to Syldavia, to help the inventive and deaf Professor Cuthbert Calculus in his creation of a working rocket to the moon, on which he eventually launches Tintin, Captain Haddock, and the dog Snowy. Thomson and Thompson are as ditsy as usual. Drawings include: aeroplanes, the atomic pile of a nuclear reactor!, boats, cars, a helicopter, lorries, rocket ships (and the insides of one). 1954: Explorers on the Moon. Continuing the adventure begun in Destination Moon, Tintin and Captain Haddock travel to the moon with the inventive and deaf Professor Cuthbert Calculus and the accident-prone Thomson and Thompson. Drawings include: cars, fire engines, moon suits, a rocket ship (inside and out), a tank. Captain Haddock starts the story as a well-dressed land owner, but following a series of explosions in his home, he changes into his regular sailor's gear and sets off with Tintin to begin tracing down the problem in Switzerland and then on to Borduria. There they rescue the inventive and deaf Professor Cuthbert Calculus who had been kidnapped by the Bordurians for his ultrasonic device. Drawings include: aeroplanes, autobus, a boat, cars, a helicopter, horse and cart, lorries, a milk van (full of broken milk bottles), motorbikes, rescue vehicles, a tank, and trains. 1958: The Red Sea Sharks. Tintin and Captain Haddock get invaded by the nasty spoilt child, Abdulla. So they escape to somewhere more peaceful: the land of Khmed in the middle of a revolution. The accident-prone Thomson and Thompson cause as much confusion as possible, second only to that caused by Abdulla. Drawings include: aeroplanes (including one crashed and burning), camels, cars, a cheetah, a frog diver, horses, a lifeboat, a raft, a seaplane, a shark, ships, a submarine and torpedoes, and a tank. Tintin travels to Nepal and then on to Tibet during wartime (the only adventure that incorporates historical events) and meets a boy named Chang. Some chilling moments and some grotesque Japanese caricatures. Drawings include: marvelous mountain scenery, aeroplanes (including one crashed and under snow), cars, chortens, cows, horses, ice tunnels and crevices, a monastery, temples, a yak, and the Yeti. 1976: Tintin and the Picaros. Copyright © 2003-2016 by J. Zimmerman.